Take That have announced an "exciting" new project at the launch of their West End musical. Howard Donald revealed that the band will be releasing a brand new 'best of' compilation, featuring brand new songs and new versions of classic hits. "We’re working on a Greatest Hits," said Howard. "We’re doing extra tracks, some great new songs which are gonna go on there, but we’re gonna do a Greatest Hits album with a bit of a difference. "Rather than just piling on the songs, we’re gonna do new versions of stuff. It’s very exciting." When asked if Robbie Williams or Jason Orange might be involved, he added: "No, I don’t think so. "Next year, we’ll be doing a world tour. UK, Europe, South America, Australia, South East Asia, so we’re going everywhere. We’re gonna remind people of who we used to be!" Take That were speaking at the launch of their musical The Band in London's West End, which will run from December 1 to January 12. Tickets are on sale right now. 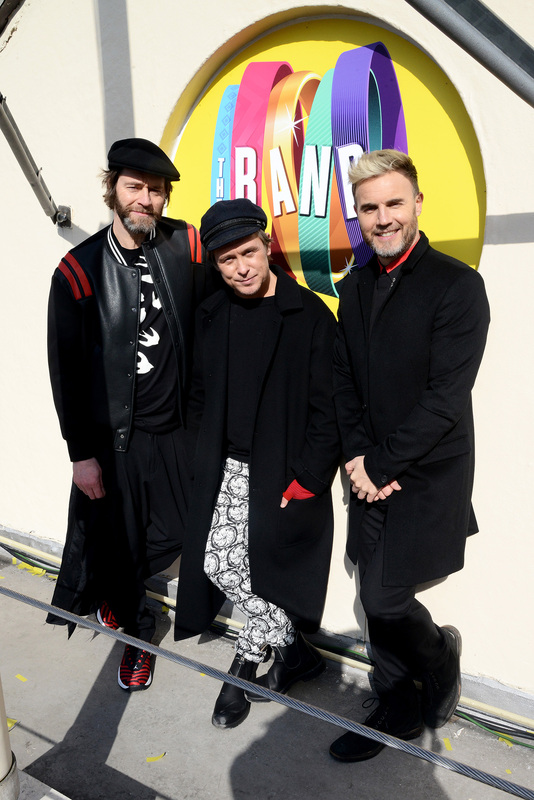 To announce the new show, Mark Owen, Gary Barlow and Howard performed on the roof of the Theatre Royal Haymarket, for a street packed full of fans and surprised passers by.